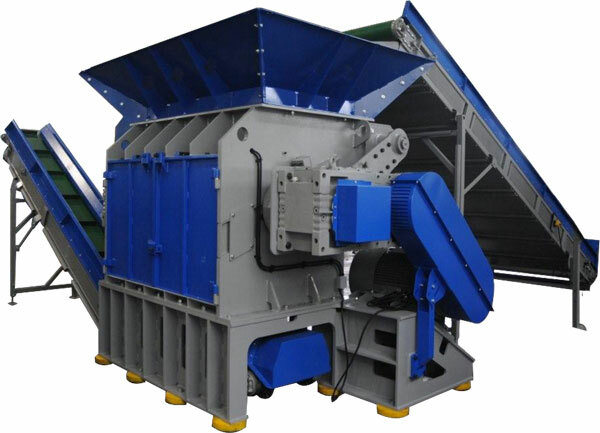 The ZTTS single shaft shredders are specially designed for the processing of complete or pre shred tyres. Both machines machines feature a 750 mm diameter rotor with width options 1500mm to 3000 mm with oversized outboard bearings and twin gear drives. The tangential infeed ensures optimal feeding of the input materials while eliminating the need for a hydraulic feeding system.